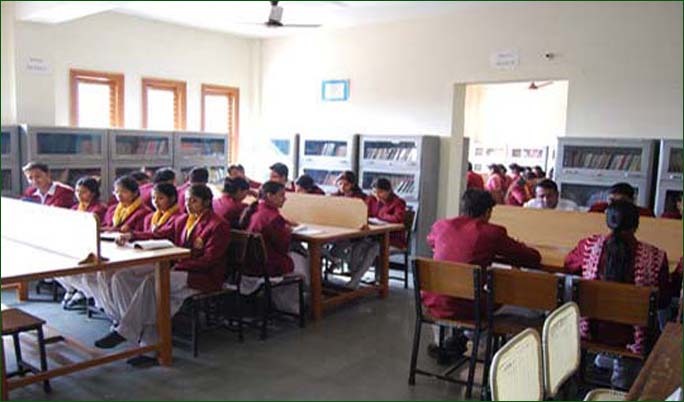 A well-stocked semi-automated library has been established in the college having a splendid collection of books to help the students and faculty to gain access to the latest information in the field of educational development. A book bank facility is made available to help students to obtain the latest books free of cost by depositing a nominal security, refundable on completion of their studies. In all there is a collection of approx 7000 books and a well-stocked reference section, journals and periodicals. Besides this there is regular subscription of National and International journals and leading newspapers and magazines..